The ceremony, hosted by Wendy Austin, Journalist and BBC Presenter was entertained by local artists including Brigid O’Neill; Duke Special; Anthony Toner and Gareth Dunlop with the Ulster Youth Orchestra who collaborated on Heritage in Song an initiative funded by the Heritage Lottery Fund. 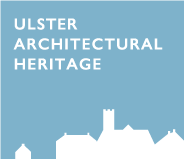 Material included bespoke compositions on the Floral Hall; the Grand Opera House, Bank of Ireland, North Street and Templemore Baths, Belfast. Further entertainment was provided by comedian Nuala McKeever and poet Ciaran Carson. Over 700 people were in attendance and guest presenters included the Deputy Lord Lieutenant Makesh Sharma; Primrose Wilson, President UAHS; Suzanne Wylie, CEO, Belfast City Council; Joe Mahon, Lesser Spotted Ulster Presenter; Paul Mullan, Head, Heritage Lottery Fund and William Crawley, Journalist and BBC Presenter.